Considering the ongoing global proliferation of the urban ‘creativity fix’ and its inclination to further push local governments towards entrepreneurial governance logics and market-led development imperatives, there is a sustained need to understand how the creative city paradigm is being grounded, renegotiated and put into practice in so-called ‘Southern’ cities. 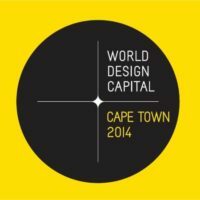 To analyse Cape Town’s creative city trajectory and its eventual emergence as the ‘first African World Design Capital’ in 2014, this article brings together three strands of contemporary urban scholarship. First, it utilizes the notion of ‘worlding’ to foreground the complex and multi-scalar processes that shaped Cape Town’s ‘politics of becoming’ a creative city. Second, it draws on the related and growing body of work that engages with globally mobile urban policies, their modes of circulation, adoption and transformation in different socio-political and spatial contexts. Finally, in using this relational framework to analyse Cape Town’s creative-to-design city journey, it contributes to a ‘second wave’ of scholarship on creative city-making that focuses on understanding its heterogeneous manifestations and varied local effects – that is, the diverse and situated expressions of creative cityness in the broader context of a globalizing cultural political economy. Overall the article suggests that future research has much to gain from understanding the creative city paradigm as a powerful ‘worlding device’ that produces place-based responses, which are as much ambitious and aspirational as they are fragile and necessarily incomplete. The author will also provide the article upon request via email. Laura Nkula-Wenz is a lecturer and student affairs coordinator for the MA in ‘Critical Urbanisms’, a joint program between the ACC and the University of Basel, Switzerland.